Learn how to make coasters for your own home or to give as gifts. 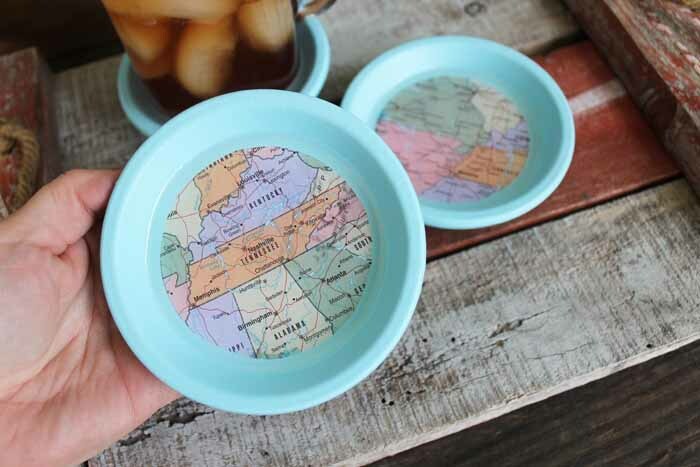 We are using maps on the bottom of ours but you can use any paper that you love. 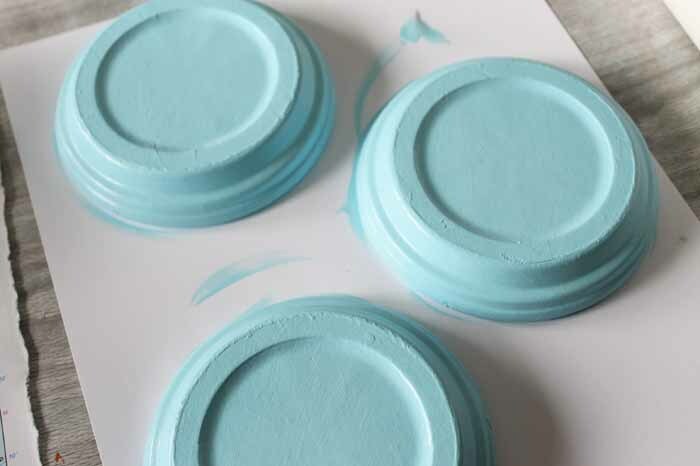 Making these coasters with terracotta saucers means they are easy to make and super durable. 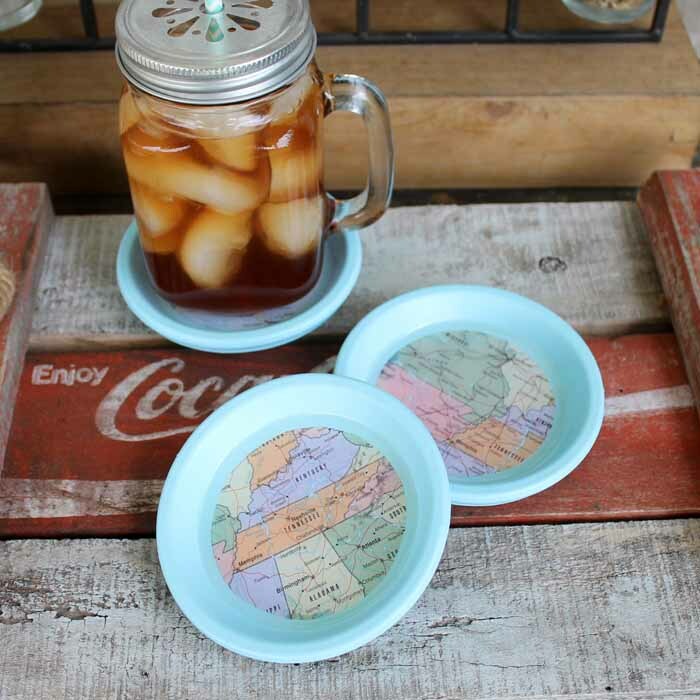 Follow along below and learn how to make your own custom coasters! 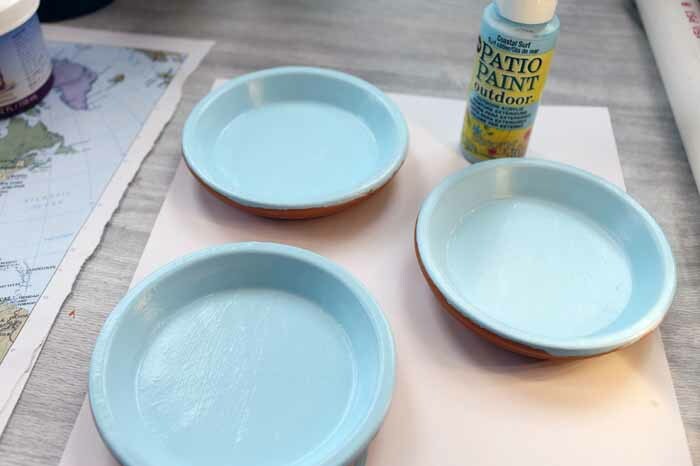 Paint the terracotta saucers with outdoor paint on both the top and the bottom. This may require several coats. Allow to dry completely in between coats. Painting on all sides gives a more finished appearance to your final product. 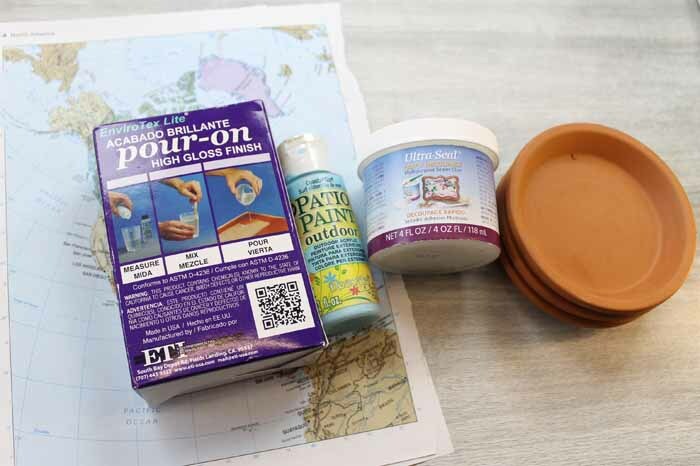 Once your paint has dried, you will want to add your paper to the center of the coaster. I used maps cut in a circle shape. Use decoupage to adhere them to the bottom of your saucers. 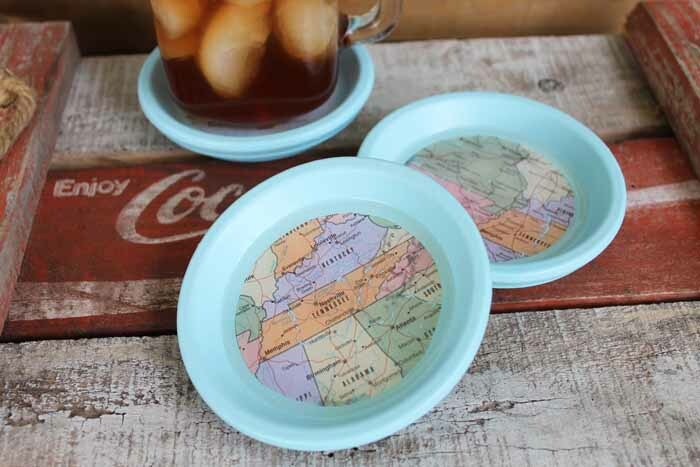 TIP: Add decoupage to the back of your circles before adding them to the coaster and allow to dry. This will minimize bubbles when you add to the coasters. 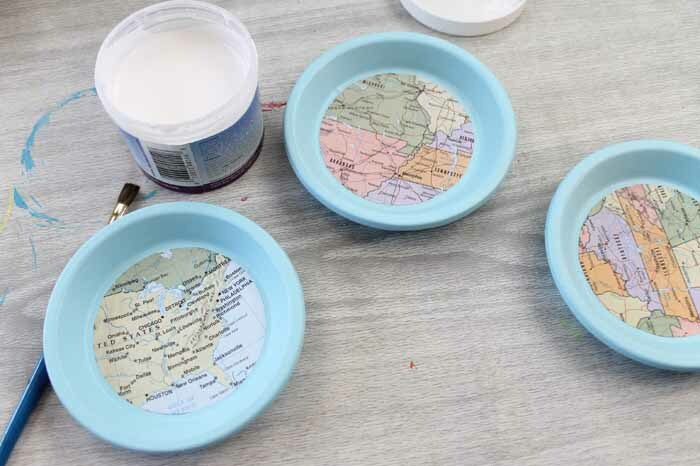 You will want to add two coats of decoupage over the top of the maps before continuing. 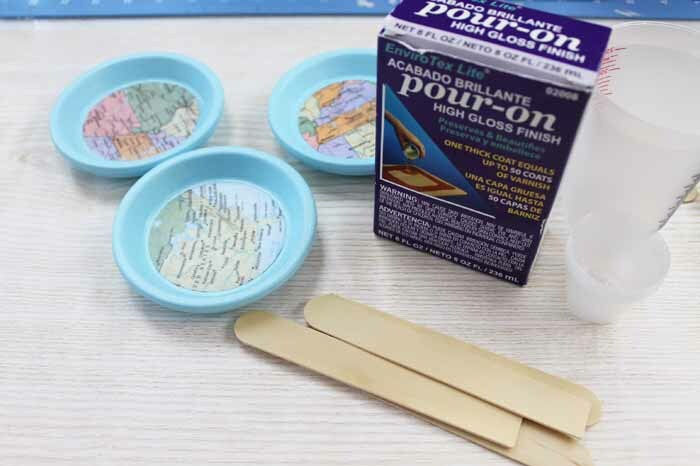 This will completely seal them in preparation for your epoxy coating. Allow these to dry completely before continuing. Then measure and mix your 2 part epoxy resin. You will want to follow all the instructions that come in the package and mix really well. 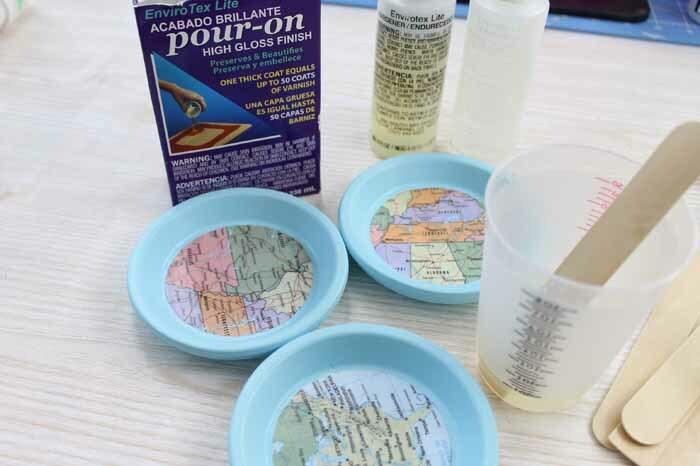 Pour that mixture over your maps as shown below. 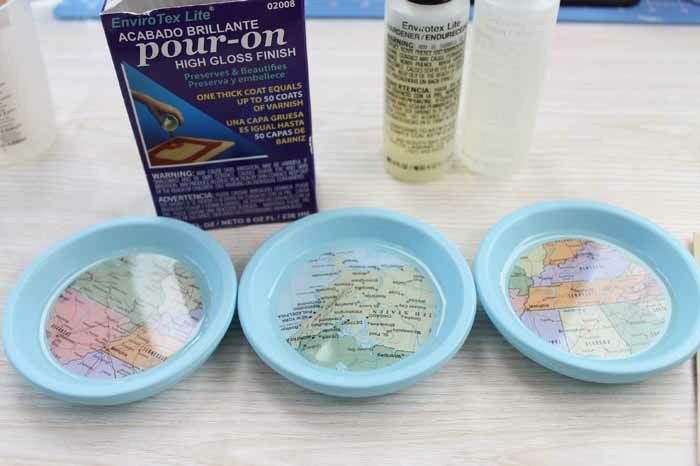 Make the layer of resin equal on each coaster and be sure to pop any bubbles that rise to the surface. Then set them on a level surface to cure completely. This will be at least overnight. Once cured, your coasters are ready for use! 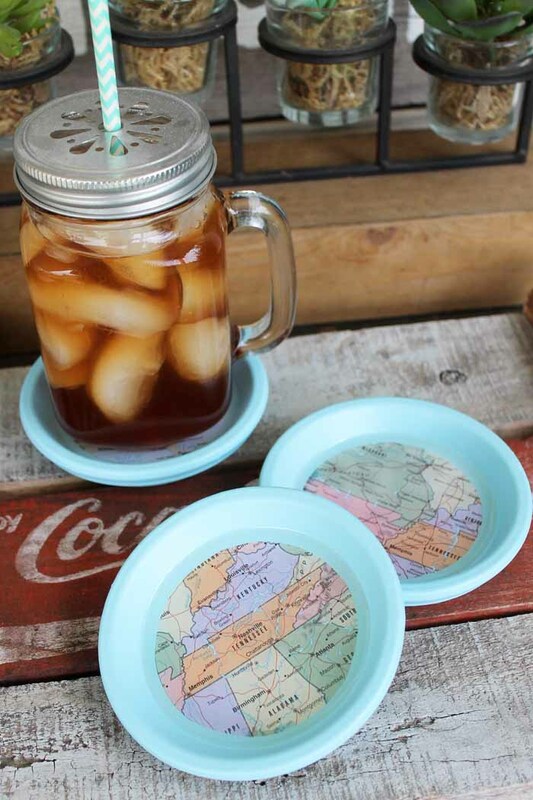 Now that you know how to make coasters, you can make some for any occasion! Friends will love getting coasters as gifts and you will love displaying these one-of-a-kind pieces around your home. Learning how to make custom coasters is super simple. Now all that is left is to decide just how many you need to make! 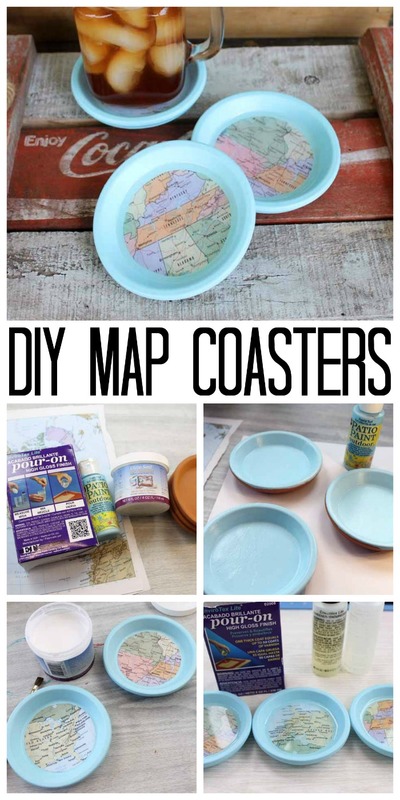 Love this tutorial on how to make coasters and want more? 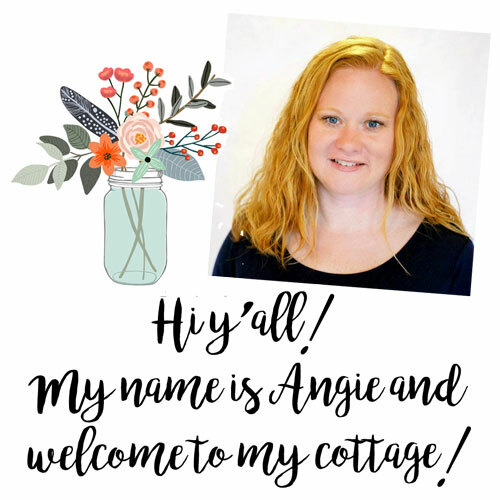 Try the links below!